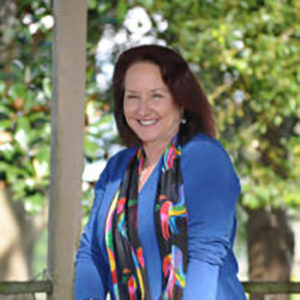 With an abundance of tenacity, Mary has been self-employed since she was 22 years of age, when she started the first equestrian staffing firm in the country. Within a short period of time, she realized she had a knack for finding the right people to raise productivity and efficiency for employers. In four years of moving to Ocala, Mary had two staffing companies with multiple businesses relying on her to fill positions within their organizations with quality employees. As Mary’s companies grew, she became involved with the American Staffing Association, Florida Staffing Association and became a Certified Staffing Professional. Throughout her successful career, part of her focus has been to give back to the local communities that have supported her. FastTrack Staffing, Inc. provides a high-quality service in the face of rapid growth and change in the staffing industry. FastTrack’s goal is to deliver big results with a small-town touch; we take pride in our service and our people. Highly efficient and effective, FastTrack won the Florida Back to Work Contract. This program provided businesses a tremendous opportunity to give someone in need a fresh start and a new direction for the future. Now a national firm, FastTrack has branch offices in Florida and Michigan. More than doubling in size in three years, their most recent branch has opened Daytona Beach, Florida. Additionally, FastTrack started a Professional Search & Administration division. FastTrack is a Florida certified MBE as well as a member of multiple Chamber of Commerce Associations in Florida and Michigan. Moving to Ocala in the early 80’s Mary was interested in becoming a farm manager, but ended up starting a staffing agency for farms, now called Equistaff. 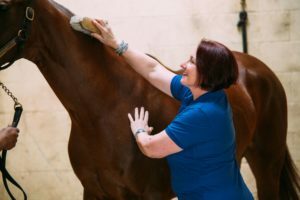 She quickly saw a need for all levels of equine staff and began utilizing her connections in the industry to match employers with job seekers, creating the first equine exclusive staffing company in the United States. Equistaff began on a shoestring budget and is now the premier equine staffing agency serving thousands of members all over the world. 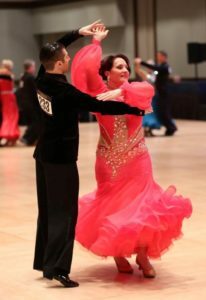 Mary is an avid amateur ballroom dancer and competes around the world. Opening Dance, Dance Dance Studio located near The Villages, Florida was an extension of her passion for dance. Bringing the finest instructor to the area, she is advancing the ballroom dance community in North Central Florida. Though managing companies keeps Mary quite busy, she’s found that she thrive when work intersects with her passions. Though managing numerous companies keeps Mary busy, she has found she thrives when work intersects with her passions. Mary's entrepreneurial spirit landed her in a new ring- the racetrack. Equistaff, Inc. is proud to sponsor Team Equistaff, a racing team that includes the 4-year-old filly, Mineshaft Madness or as we like to call her, Lucky. Currently racing at Tampa Bay Downs in Florida, Lucky placed 2 -1 -2 in her last 3 starts. Free Dancer by Uncaptured is at Tampa Bay Downs as well, training hard under the guidance of Gerald Bennett.. Our fab bay colt by leading sire Uncle Mo has been named Sho Mo The Money. Show Mo the Money should race at Gulfstream Park March 18. We are expecting great things from our horses this season. When Mary's not in the office or at the barn, you'll most likely find her traveling around the United States for amateur ballroom competitions. Since 2006, she's competed in numerous competitions and has been a finalist in Ballroom, Smooth and Latin style. This year, Mary looks forward to the Pro-Am Division with her partner Aleksee Alekseev. 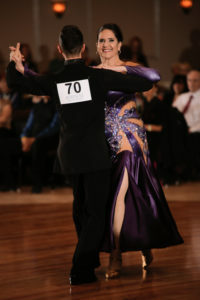 Most recently she placed first at Indianapolis Open Dancesport in the American Smooth Division and second in the Latin. Mary’s looking forward to dancing at Blackpool, England in May. For the past seven years, Mary's combined her passion for the equine industry and ballroom dancing for a charitable cause and hosts the Florida Fun Mini-Match. It's an annual charity amateur dance competition for dancers of all skill levels local to Florida. A celebrity professional dance panel judge the event and the proceeds go to the Marion Therapeutic Riding Association - in Ocala, a PATH International Premiere Accredited Therapeutic Horsemanship Center for individuals of all ages challenged by physical, mental or emotional disabilities. 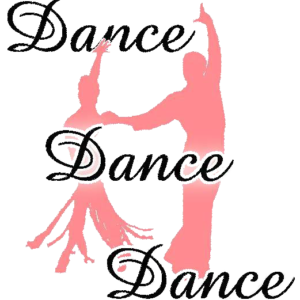 To become involved in next year's Florida Fun Mini-Match as a donor or sponsor, just visit www.dancedancedance.biz! Mary's success is only rewarding when she's able to share it with others. Among her other hobbies, she enjoys mentoring and life coaching recovering patients in local Ocala treatment centers. Mary is a current member of the Marion County Chamber of Commerce, former Vice President of the Florida Staffing Association and former President of the Marion County Staffing Association.